who is the refulgence of his glory, the very imprint of his being, and who sustains all things by his mighty word. When he had accomplished purification from sins, he took his seat at the right hand of the Majesty on high, as far superior to the angels as the name he has inherited is more excellent than theirs. For to which of the angels did God ever say: You are my Son; this day I have begotten you? R.(see 7c) Let all his angels worship him. Jesus is a communicator par excellence. Sapagkat kung Siya'y nakikipag-usap, Siya ho ay bumababa sa lebel ng Kanyang kausap. Halimbawa, the Gospel says that He was talking to a group of fishermen, and what He said was, "Come, follow Me, I will make you fishers of men." Para sa mga fishermen, ito ay napakaliwanag. 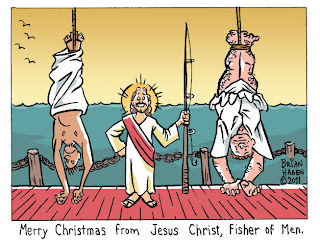 "I will make you fishers of men." Pero magtatanong siguro tayo mga kapatid. Knowing how important, how sublime, and how difficult the mission of Christ is, if He is going to select collaborators in His mission, why choose ordinary people? Available naman ang mga intellectuals, ang mga experts on the Word of God, the Scribes and the Pharisees. Andiyan ang mga powerful. Why not choose them? Rather, He selected ordinary people like fishermen. Ano kaya ang nasa isip ng ating Panginoon? We cannot say na nagkamali po ang ating Panginoon. No. Tama ho ang Kanyang ginawa. But why? For us, we can just imagine, huhulaan na lang natin. 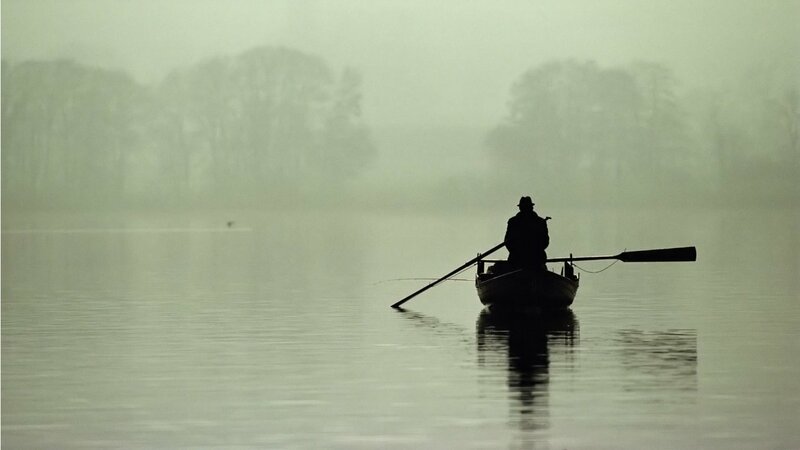 But I, myself, who belong to a family of fishermen, and a fisherman, myself, can show you the life of a fisherman. Number one, kami hong mangingisda, 95%, we rely on the mercy of God. Pag-alis pa lamang namin sa dalampasigan, magsasagwan kami patungo sa dagat, we are not sure kung kami ba ay makakabalik nang buhay. 5% is skill and talent. We rely and trust most on the mercy of God. Number two, fishermen do not follow paths. We follow the waves, and where the fish are. We have no particular way to follow. Wala po. Pumupunta kami kung nasaan ang isda. 'Yan ang gusto ng ating Panginoon. You must not follow a certain path, and just follow the way, and the way is Jesus Himself, because He is the Way, the Truth and the Life. Thirdly, a fisherman always prepares himself for what he is going to do. Hindi siya bara-bara. That is why when Christ called Peter and Andrew, they were washing their nets. Why? Because they were preparing their nets for their next bout of fishing. And the fourth one, my dear brothers and sisters, is this. A fisherman is a very patient person. Matiyaga siya. Hindi biro mga kapatid kung kayo ay mamimingwit, maghapon kayong nakaupo, hawak hawak ang hook and line. Kung minsan po halos wala kayong makuhang isda, pero pagti-tiyagaan ninyo. Sometimes, we use nets and draw them, walang laman, pero uulit-ulitin n'yo lang. Ganoon po. Maybe these qualities of simple fishermen and simple people may be the reasons why Christ chose them as His collaborators in His mission. Yesterday, we celebrated the Feast of the Baptism of the Lord, which reminds us of our own baptism. All of us, my dear brothers and sisters, by virtue of our own baptism, share in the mission of Christ. We are called to share in His work. 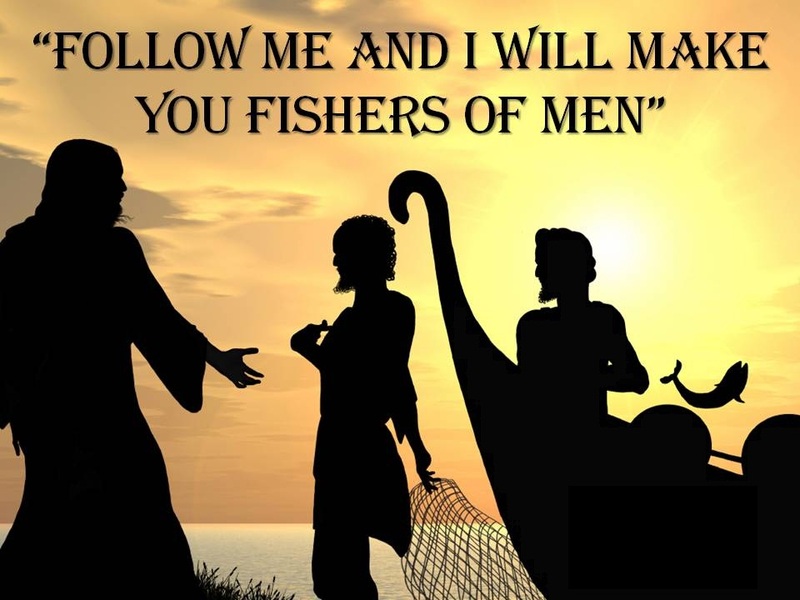 Through our Gospel today, I hope and I pray that, with God's guidance, we may follow Christ like fishermen.